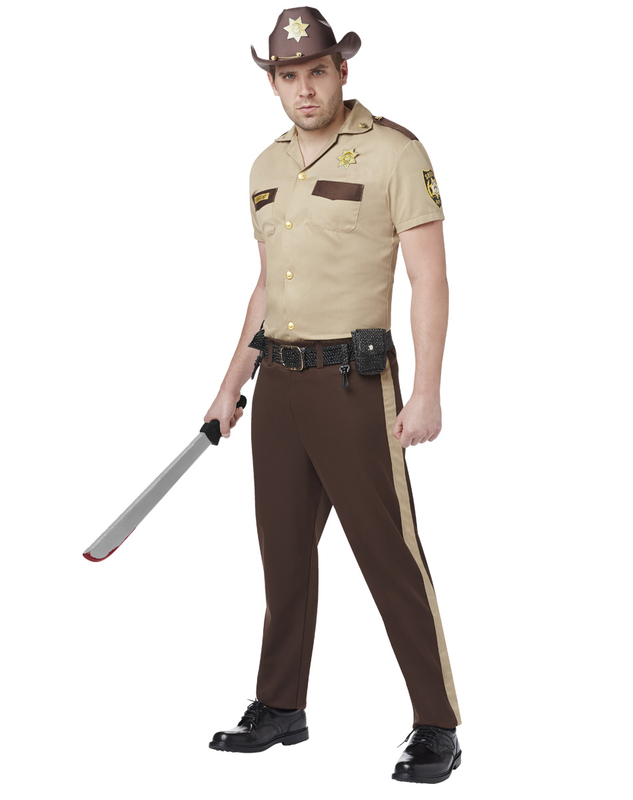 Keep everyone together and alive during the zombie apocalypse when you wear this officially licensed Walking Dead Rick Grimes Men's Costume. Sheriff's outfit comes complete with woven shirt and functional pockets, pants with belt loops, badge, belt and matching hat. Get your very own Walking Dead Rick Grimes Mens Costume or view more of the Best Walking Dead Costumes, Props, & Decorations right now!